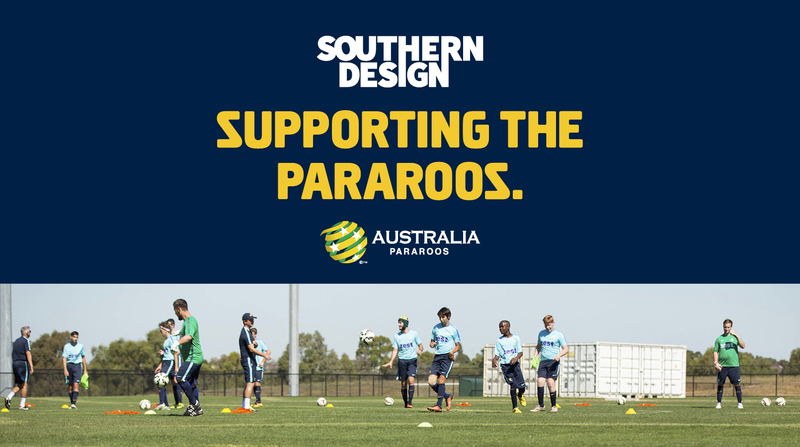 Southern Design are privileged to support the Pararoos. They are Australia’s National Football Team in international 7-a-side competition for athletes with cerebral palsy, acquired brain injury or symptoms acquired from stroke. The Pararoos are an inspiration to almost one million Australian’s who live with a disability. Their message is clear – dream big and work hard. Their skill and spirit are what we strive to represent in our designs.